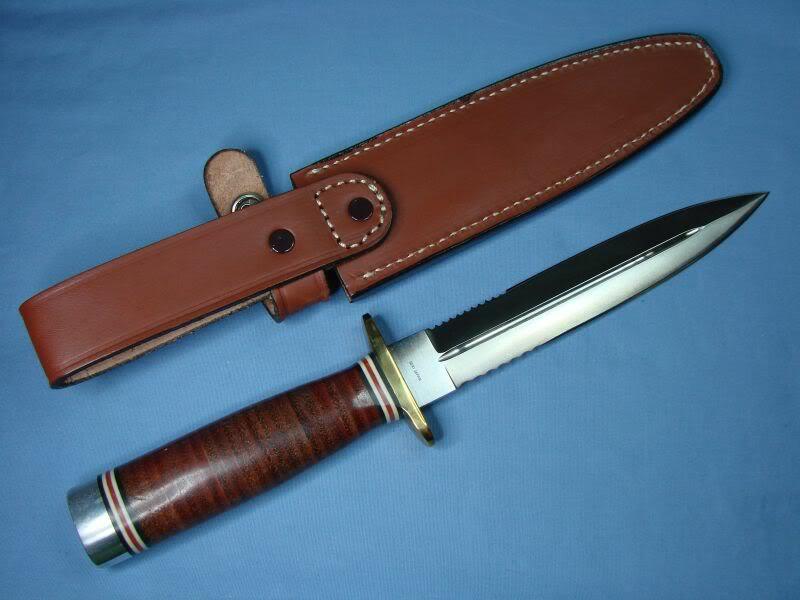 The SOG Desert Dagger (Leather) was a limited and special run from SOG. 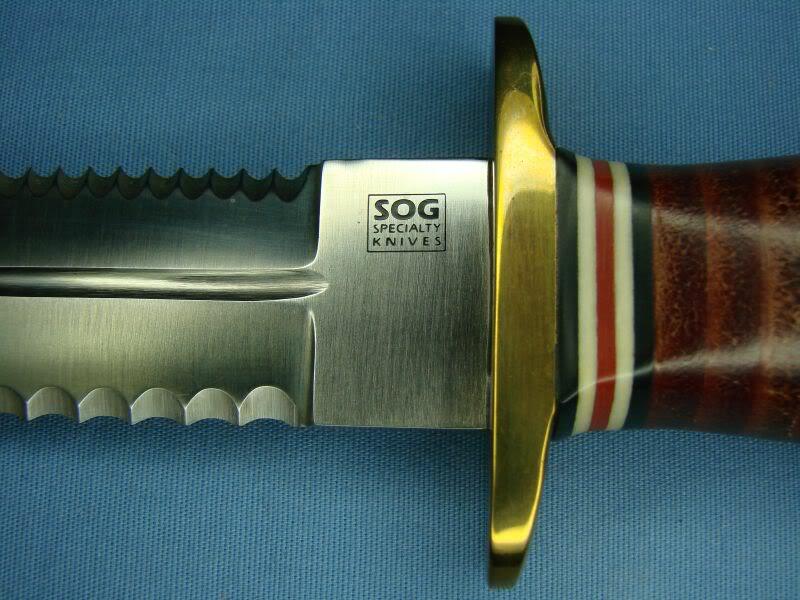 Produced in limited numbers of 250, it is quite a collectible knife, especially since this is the first "Special Edition" knife that SOG has produced in limited quantities. 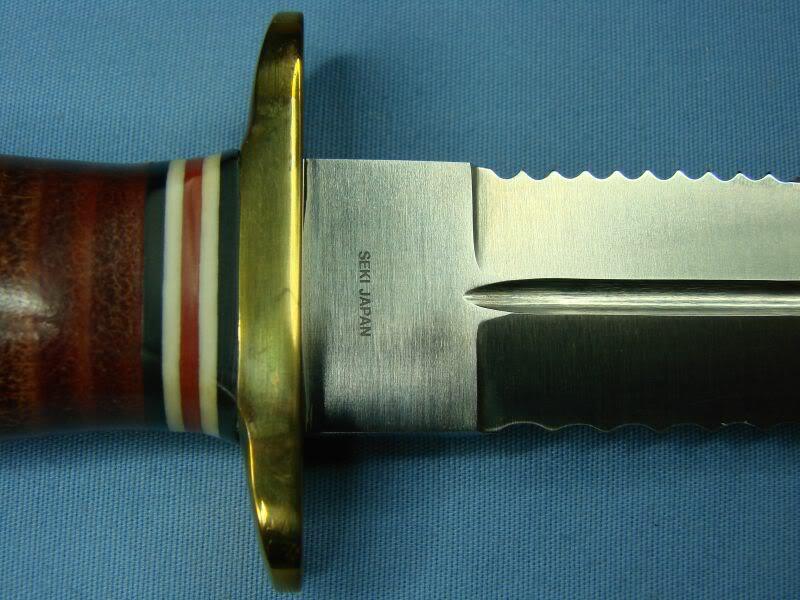 It retains the original design from the Desert Dagger, except for the brass guard and the handle which users leather washers. 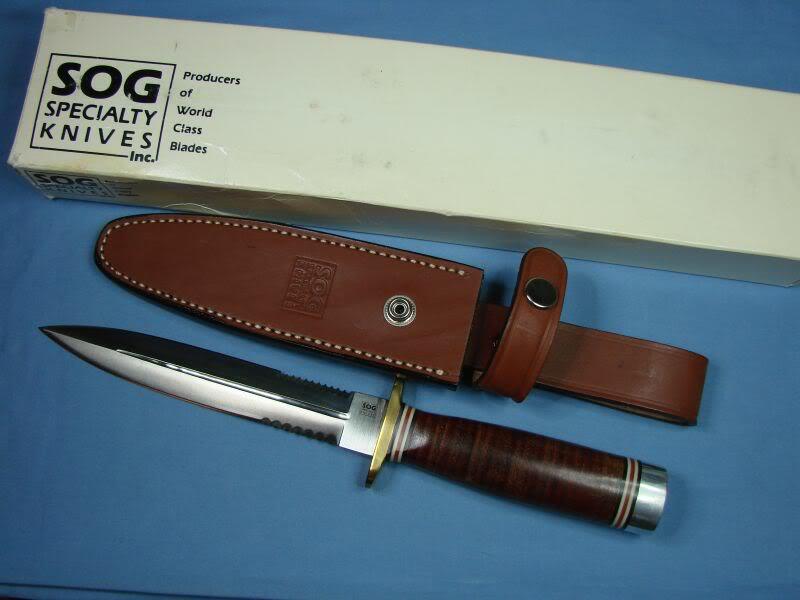 It comes with a unique brown leather sheath (another 1st from SOG) and each knife is serialized with a number stamped on the top of the guard (see pictures below). It is a very rare knife to come by since there are only 250 of them. They were rumoured to be taken after production to a knife show, where they were quickly snapped up. 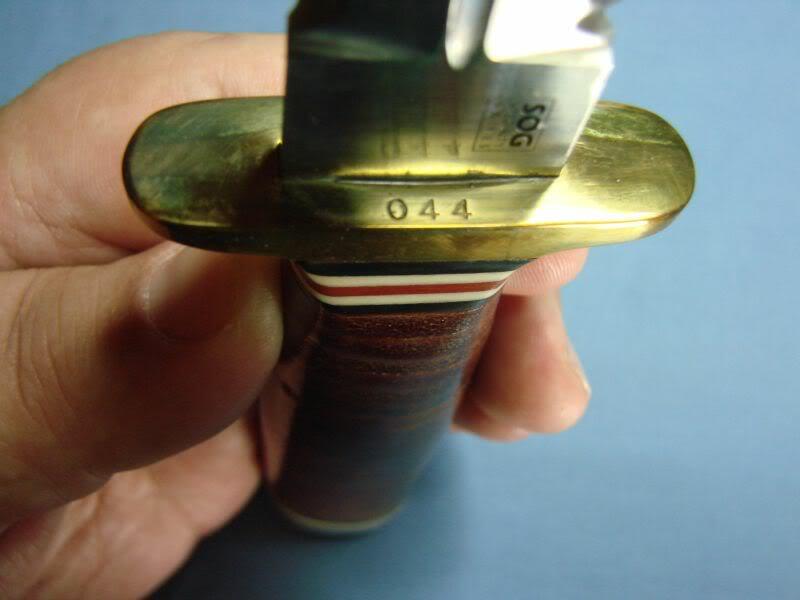 Produced in similar quantities and in the Special Production run were the Goverment (Leather), Pentagon (Cocobolo) and Northwest Ranger (Cocobolo). 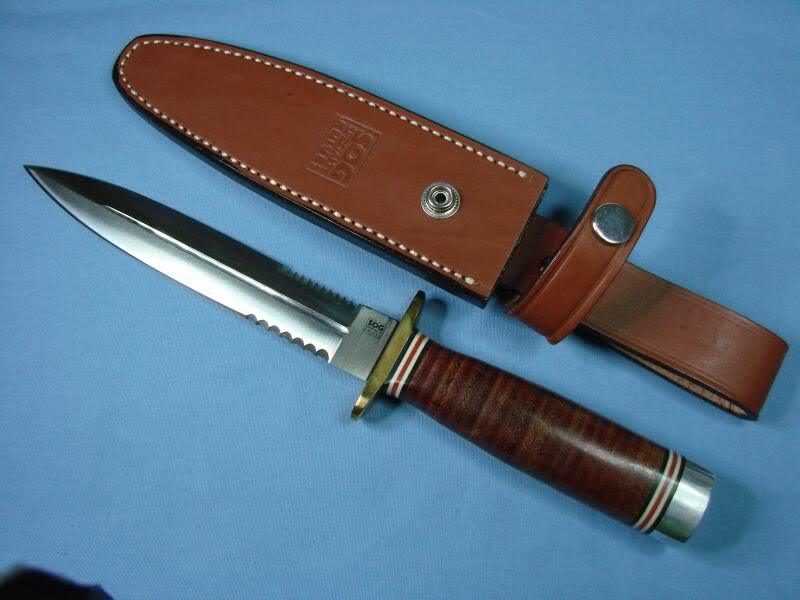 Blade Length: 6.5 in. x .180 in.